Poor Frankie Rowe (seen below) is having her name dragged through the mud by the anti-Roswell crash proponents ag ain. 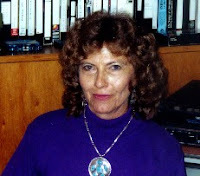 Rowe is a nice lady who told me about her connection to the Roswell case in the early 1990s. She said that her father, a fire fighter with the Roswell Fire Department had made a run outside the city limits where they found the crash remains of the alien craft, and according to Rowe, a living alien creature.She also said that she had handled debris from the craft. Skeptics have dismissed her testimony saying that it has been discredited, but the truth is, she has not been discredited. Saying, repeatedly, doesn’t make it so. As just a single example, some have said that her tale of the Roswell Fire Department response to the crash is untrue because the site of the wreck is outside of Roswell and the fire department didn’t make runs outside the city limits. This came from a former city council member who was not on the council in 1947. 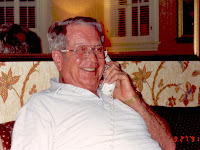 Karl Pflock, supporting this idea, wrote, "As part of my investigation of Rowe’s story, I interviewed three retired members of the Roswell Fire Department who served with Rowe’s father at the time of the incident. I also discussed the matter with a former member of the Roswell City Council who served on the council committee responsible for pubic safety policies. None of the former firefighters remembered the department making such a run. Moreover, they and the former councilman said it was standing department policy not to respond to calls outside the city limits, even if they were close in..."
To check this out, I went to the Roswell Fire Department and asked them about runs outside the city. One of the fire fighters asked what they were supposed to do. Let it burn? But what was true when I was there in 1992 might not have been true in 1947, so I looked at the log books that go back into the 1920s. The truth is the Fire Department did make runs outside the city as the fire logs show so it is not outside the realm of possibility. Unfortunately, there is no log for this particular run, which, of course, means one of two things. Either it didn’t happen, or they were told not to log it because of the secrecy of the event. Logically, we all should opt for number one here, but that is not to say that number two doesn’t make equal sense. Pflock does ac knowledge this, that I found, in the logs for June 1947, a run outside the city limits, which, of course, negates what the councilman said (Rowe's father, Dan Dwyer, is on the left, leaning against the car). I’ll also note here that Pflock identified the councilman as Max Littell, who was not on the council in 1947, and that Littell attempted to relate everything in the Roswell case to things that he could control and use to make a profit. In other words, this case has been tainted by so many claims and counterclaims that it is difficult, if not impossible to get at the truth. And I might point out that because he talked to three men who were not involved in the run, doesn’t mean it didn’t happen. Sure, it would be nice if one of them had said that he had gone out there, but that none of the three said he did means only that those three did not. I might also point out that Pflock did cherry pick his data. We know that he believed Roswell was a Project Mogul balloon so anyone suggesting it happened is wrong and those who remember nothing about the fire run are, of course, telling the truth. Rowe, who has granted several interviews to many different researchers and reporters, told her story in depth and on video tape to me in January 1993. She said that her father had come home after his shift at the fire station (which lasted about twenty-four hours) and had something important to say. He then told them, according to Rowe, that they had gone about thirty miles outside of Roswell and then a few miles back to the west. He said there had been some kind of a crash and that he had called it a spaceship or a flying saucer or something. Then she said one of the most important things. According to her, "I remember him saying that some of them helped pick up some pieces of the wreckage. He said he saw two bodies in bags and one that was walking around." She said, "...he said he was sure that there were bodies because the third one would go over to them... he talked about this third one would go back and forth between different parts of the wreckage and was walking around dazed. He didn’t say if anyone tried to talk to this person." The creatures were, according to what Rowe remembered, about the size of a ten year old, meaning that they were smaller than a human adult. 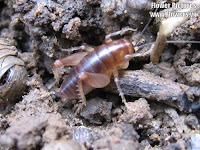 The color was like that of an insect called Child of the Earth (more commonly called the Jerusalem Cricket seen at the left) which is sort of copper color or maybe a sort of dark brown). Rowe also saw a bit of metallic debris that a State Trooper claimed to have picked up in the field. Rowe said that she thought it was about a week later. She’d had some dental work done and had gone over to the fire house to wait so that her father could drive her home. The State Policeman was there and he walked up to a table and said to the firemen, "You guys aren’t going to believe what I’ve got." He pulled out his hand and had a piece of metal. Rowe said, "I think I got to pick it up and crumple it one time. I can only remember doing it one time... It just didn’t feel like anything... it was kind of a pewter color... Everybody got out their knives or whatever and tried to cut and they tried to burn it." Unfortunately, as has happened so often in this case, no researcher had a chance to talk with Rowe’s father. He died long before the investigation began. But I did have the opportunity to talk with her sister, Helen Cahill. She was married in 1947 and living in California at the time of the crash, but had heard some discussion about the events during a visit to New Mexico in 1960. Although her information wasn’t as complete as that of Rowe, it confirmed, for what it’s worth, that Rowe did not invent the tale of the crash. Of course, it does little to validate it, except to suggest that Rowe’s father was talking about a UFO crash long before the reports of the Roswell events came to light and at a time when few people thought of UFOs as being from other worlds. Other explanations seemed to make people happier. There is one problem, with all this, however. According to Rowe, she’d had some oral surgery which had begun to bled, which was why she had been in Roswell in the middle of July 1947. That was why she had been at the fire house when the State Policeman had brought in the metallic debris. Although records are not complete, there are none to show that Rowe’s oral surgery was done in July 1947 or that there were later complications. It now boils down to what you want to believe. 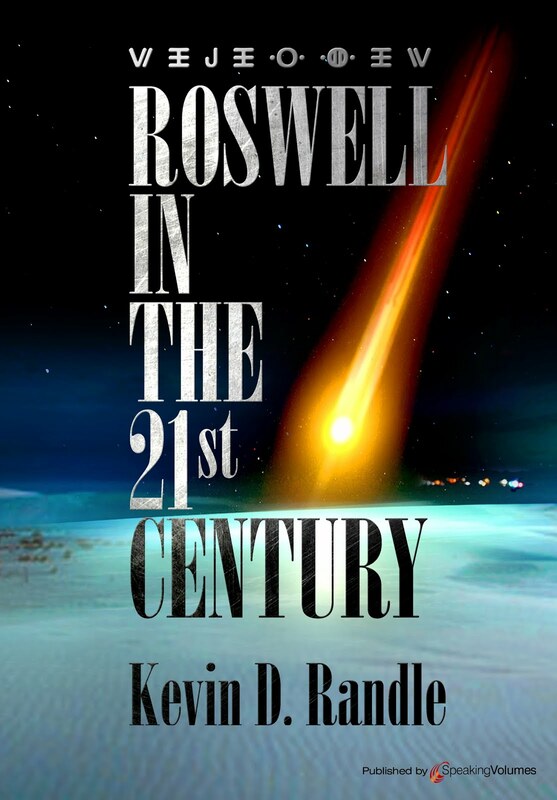 Rowe’s tale, contrary to what Pflock suggested, is consistent with many of the other stories floated about Roswell. She has been consistent in what she said, though, originally, she left out many details. The addition of those details have caused some to believe that he story has been altered. It hasn’t. It became more robust. The real problem is that we have been unable to find the documentation to corroborate what Rowe said. The fire records do not reflect a run outside of Roswell on the proper dates and her dental records do not reflect problems with oral surgery in July 1947. She could easily have been in the fire department waiting for a ride home for any number of reasons. She said that she, and the other children, if in Roswell for any number of reasons, often went to the fire house so that their father could give them a ride home. Oh, and for those who wish to dismiss her testimony, it was Frankie Rowe who told me the records did not bare out what she said. She could have just kept quiet about it and we would not have known. They suggest, also, that Rowe’s tale doesn’t fit into the overall Roswell picture, but if you allow for the vulgarities of memory and point of view, what she says in not all that far from the traditional story. She provides a glimpse into what it was like for those outside the military who might have had some contact with this extraordinary tale. What it boils down to is this. For those who accept the Mogul balloon explanation for Roswell, Rowe must be lying (or badly mistaken) because there was no alien craft, no bodies, and no metallic debris with strange properties. Since there was no craft, her story has been discredited. For those of us who realize that Mogul simply does not fit all the facts and not just those cherry-picked for convenience, Rowe’s tale could be the memories of the crash filtered first through her father’s descriptions of the events, and then filtered through time. And contrary to what Pflock and others have suggested, members of her family I was able to interview, corroborated parts of it. Helen Cahill, for example (Rowe’s older sister) remembered her father talking about these events. So believer Rowe or not, but do not reject her story for the reasons given by Pflock and others because they are not accurate. The Roswell Fire Department did make runs outside the city limits in 1947, Max Littell envisioned a huge Roswell UFO project with him in the center of it, and there is corroborative testimony for Rowe, but, unfortunately, no documentation. It seems that more often than not, as I put together the material for this blog, that it is negative. I have explanations for UFO sightings and I have information about aspects of the phenomenon that is more explanatory than mysterious. I believe that most people want information that advances the mystery rather than explains it, but I also believe that if there is a good, solid explanation, they would rather have it than continue to accept the mystery if there is a good, rational answer for it. So, I look for things that I believe to be mysterious, that I can legitimately suggest have no explanation. And when I can’t, I provide the best available answer. But this is a two-way street, which means that sometimes the information breaks for us rather than against us. Skeptics like to trot out the University of Colorado study of UFOs that was commissioned by the Air Force in the 1960s. They like to say that here is what we all wanted, a scientific investigation of UFOs except that came to the conclusion that we have not been visited. Unfortunately, the Condon Committee, as it has become called, was neither a good investigation nor a very scientific one. The conclusions were drawn before the check was even signed, and Dr. Edward U. Condon, the chairman, knew what answers the Air Force wanted. All he had to do was slant the information in that direction. When we look at the whole of the committee’s final report, (grandly entitled, Scientific Study of Unidentified Flying Objects and published by Bantam Books in1969) we find strange problems... 30 percent of the sightings unexplained and some of the explanations less than helpful. In one case it was described as a phenomenon that was so rare it had never been seen before or since (which could, of course, mean it was a flying saucer in the classic sense) but they fail to explain what that phenomenon was. But, I think this underscores the point that the Condon Committee was, and is, bad science. The conclusions, written by Condon, do not come from the evidence included in the report but from Air Force direction prior to the beginning of that investigation. The contradictions have since become part of the whole story of the Condon Committee. Condon, in his sort of executive summary of the overall report, wrote, for example, "It has been contended that the subject has been shrouded in official secrecy. We have no evidence of secrecy concerning UFO reports." Then how to explain the case files that were labeled as secret? Clearly there was secrecy and there were secret studies (Air Intelligence Report No. 100-203-79 as just a single example, declassified long after the Condon Report was published). The question is if this was "an intelligent policy of delay in releasing data so that the public does not become confused by premature publication of incomplete studies or reports," or if there was something more nefarious involved here. 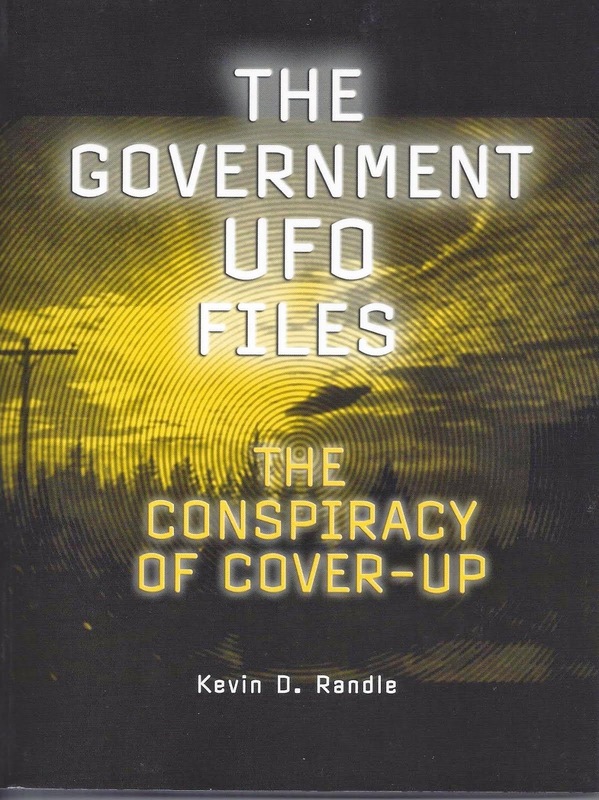 The point is there were secret studies of UFOs, some were not released for years and the documentation that Condon and his committee reviewed was still classified in 1969. After 1976, when the Project Blue Book files were finally declassified, we find all sorts of secrecy imposed and not necessary as an intelligent policy. Let’s take a look at some of this that has come to light since the publication of the Condon Report and see if we can prove that there was something of a conspiracy to find specific information during the investigation. On January 16, 1967, before the real work began, Lieutenant Colonel Robert R. Hippler, of the Science Division, Directorate of Science and Technology, part of the HQ, USAF in Washington, D.C. wrote to Dr. Edward U. Condon. The letter was received by the committee on January 23. This is an informal letter expressing some thoughts on our round- table discussion on the UFO program, and does not constitute the formal letter requested by John Coleman. There are two items which leave me a little uneasy. The first is the Wertheimer Hypothesis, and its corollary that one cannot "prove" the negative on extraterrestrial visitations. The second is an apparently obscure understanding of what the Air Force wants. Since I will discuss this second item, you will see why this is an informal letter expressing my own opinion–and hence is not binding on you. On the first item, I wish to present a slightly different approach. When we first took over the UFO program, the first order of business, even before approaching AFOSR, was to assure ourselves that the situation was as straightforward as logic indicated it should be. In other words, we too looked to see if by some chance the intelligence people have information other than what exists in Blue Book files. There were no surprises. While there exist some things which may forever remain unknowable in the universe, certainly an extraterrestrial visitation must fall in the "knowable" category. An alien would not come light years merely to pick up surreptitiously some rocks, or melt holes in reservoir ice (al la Edwards). He would have long since gone through the geologic bit, and would be fairly knowledgeable of the make-up of stars and planets. You have stated that President Truman was unaware of the Manhattan Project until he became President. In that same time period, physicists not connected with the project were aware of the possibilities and knew that something was going on. the "fear of panic" holding anyone’s tongue. No one is reticent about the horror of an ICBM attack. Words such as "end of civilization" have been used many times. This brings us to the second item. When you have looked into some sightings and examined some Blue Book records and become acquainted with the true state of affairs, you must consider the cost of the Air Force program on UFOs, and determine if the taxpayer should support this for the next decade. It will be at least that long before another independent study can be mounted to see if the Air Force can get out from under this program. If the contract is up before you have laid the proper groundwork for a proper recommendation, an extension of the contract would be less costly than another decade of operating Project Blue Book. And here, I’m going to quote only sections because some of the response was simply, "yes, you’re right." Maybe we will find that extraterrestrial visitations have occurred, but there’s no way to demonstrate that they haven’t. This is a logical problem that can’t be skirted, and I’m sure, if we were to miss the point, the National Academy would set us straight. ...We don’t know what technology exists on other planets. I think one can assert, however, that, for a spaceship to get to the earth from a planet outside the solar system, it would be necessary to employ a technology from more advanced than we enjoy. Since we have no knowledge of that technology, speculation on it brings one right into science fiction, and once one has crossed that boundary the sky is the limit. He can argue anything, and the rules of scientific evidence and methodology have been abandoned. So there is no point in stepping across the boundary, except to engage in idle speculation! Such speculation isn’t useful in helping to close in on an answer to the problem of whether there have been extraterrestrial visitors or not. And probability won’t help. You mention that the fear of panic is not holding anyone’s tongue. That’s an extremely good point; I had not thought of it. On the second page, you indicate what you believe the Air Force wants of us, and I am very glad to have your opinion. In fact, you have answered quite directly the question that I have asked - you may remember that I came back to it a couple of times - at our meeting on Thursday evening, January 12. Low then signed off, after suggesting that he and Condon would be in Washington, D.C. and they could "perhaps" get together. And in 1962, Lieutenant Colonel Robert Friend, at the time chief of Project Blue Book wrote should be handed over to a civilian agency that would word its report in such a way as to allow the Air Force to drop its study. Edward Trapnell, an assistant to the Secretary of the Air Force, when talking to Dr. Robert Calkins of the Brookings Institute said that they should find a civilian committee to study the problem and then have them conclude it the way the Air Force wanted. One of the stipulations was that the organization, whatever it might be, should say some positive things about the Air Force handling of the UFO investigation. Now, I realize that reasonable men and women can disagree as to the interpretation of these letters. However, given the other documents from the Blue Book files, the Archer and Trapnell letters, for example, I see an attempt to end Blue Book with the sham of an "objective" scientific study. The course for Condon was laid before Condon and the boys in Colorado even entered the picture. The language in both Hippler’s and Low’s letters can be seen as benign, but it can also suggest an attempt by Hippler to tell Low what they want to find and what recommendation they want. End the study of UFOs by the Air Force. Get the Air Force off the hook for UFO investigations. The other letters and documents prove that this is the case. In fact, just three days after that letter was received, Condon delivered a lecture to scientists in Corning, New York telling them, "It is my inclination right now to recommend that the government get out of this business. My attitude right now is that there is nothing in it. But I am not supposed to reach a conclusion for another year." My point remains, the Condon Committee is bad science. Yes, it should be read, but it should be understood that it does not adequately answer the questions that it set out to answer. And when skeptics point to it as a scientific study, we should be prepared to point that it was not scientific. It was propaganda. The thing with global warming is not that it is happening, but what is the root cause for it. We know that the Earth has both heated and cooled on a cyclic basis for billions of years. We know that about 100,000 years ago it was cold and the Neanderthal roamed southern Europe. We know that the Neanderthal was adapted to a cold environment and that global warming, in part, is responsible for his extinction. The question for us today is if human activity is responsible for this latest round of global warming. Is there any sort of evidence to suggest that we, as humans are adversely affecting our environment, and if so, can we do anything about it? Wait a minute, is he suggesting that Mars is undergoing global warming? Yes. According to data from NASA’s Mars Global Surveyor and Odyssey missions, the ice caps on Mars (seen at the left) have been diminishing for three years in a row. And, there is evidence that Pluto (you remember Pluto, used to be a planet but is now something called a dwarf planet) is also heating up. Of course, on Pluto, that won’t make much of a difference, considering how cold it is there and how far from the Sun it is. So, Abdussamatov said that the warming we see on both Earth and Mars (and now, possibly Pluto), is the result of the increase in solar radiation. Yes, he concedes that human contributions to greenhouse gases certainly contributes to the warming, but the real villain here (if villain is the right word) is the Sun. To be fair, there are many scientists who dismiss this idea. Colin Wilson, a planetary physicist at Oxford (England) University disagrees, first pointing out that Abdussamatov’s theory is at odds with mainstream scientific opinion (When has that ever bothered those of us inside the UFO community... Galileo’s theories were at odds with science in his time) and that a wobble in the Martian axis would account for the observations about the Martian ice cap. Abdussamatov said that this increased solar output began to drop in the 1990s and expects it to bottom out around 2040. That will cause a steep cooling of the climate on Earth in about 15 to 20 years. As I say, this is interesting, mostly because no one in the mainstream media has bothered to mention it much. The National Geographic website had a article about it, but, of course, you had to go in search of it. FOX News mentioned it for a day on the "crawl" at the bottom of the screen. I saw nothing else about this and freely admit that I could have easily missed it if any of the broadcast networks reported on it. I did see a CNN program on which the anchor said that on his program they were operating under the assumption that global warming was real and that humans were the primary culprit in that warming. I’m not sure, journalistically, how he could state that, but it was his program and he could operate under any assumption he wanted. But it did set me thinking about the recommendations to reduce human contributions to global warming and how we could change that. None of the recommendations were really life altering. Just little things we each could do and I thought, why not? If it improves the environment and reduces waste, why not? So now you often will see me in the slow lane on the Interstate, driving about five miles under the posted speed limit. My car has a little computer that gives me the gas mileage and I see a real difference (of course the best difference I saw was about a seven-mile a gallon increase when there was a very strong tailwind). I try to do other things that would be helpful, not because I believe that we can alter the course of global warming but because they seem to be sound ideas that reduce waste. What this means is that I believe that the cause of global warming is still unknown for certain. Maybe Abdussamatov is right and the real culprit is the Sun. Maybe he’s wrong and humans are responsible. Or maybe both camps are wrong and there is something else that causes it. Whatever the causes, it really doesn’t hurt for each of us to do our part and if we can’t affect global warming, at least we’re not doing anything to contribute to it. Well, I had hoped to have nothing more to say about Kal Korff but I have been swamped with emails from him over the last several days. I hadn’t thought I had said anything too controversial, just commenting on his commission in an organization that no one had heard of and a suggestion that his claim of a truly astonishingly high IQ might be more hyperbole than established fact. I’m not sure about the validity of a self administered IQ test... nor am I certain of the validity of any IQ test, but that’s something else. In my original post, which contrary to what Korff claims, is not on Paul Kimball’s blog, I didn’t mention the self-evident contradiction in Korff’s claims. He said he was a member of this supersecret anti-terrorist organization called Special Secret Services S3 (as proof of his claims, Korff at left in uniform). If it is so secret, why is Korff promoting it on radio, television and the Internet. Wouldn’t you think that a secret organization would want to remain secret? Wouldn’t my suggestion that nobody every heard of them make them happy? But, according to Korff, they were annoyed at me. I would have thought they would want to thank me for helping them to hide. Now, rather than a passing mention in my notes on Korff, I actually identify the organization which has made Korff a captain (and why only a captain? Why not a major or colonel or general?). But here is another point. Korff has let me know that he, and his buddies in the media, and possibly an attorney or two, are going to subject me to a forensic audit of my work in the UFO field and then publish the results. I wonder why everything is now forensic... forensic psychology, forensic artists, forensic bath mat creators, but that is a question for another time. Korff, and his alleged pals, are annoyed that I haven’t apologized for Frank Kaufmann. Hey, I thought exposing the guy was enough. I mean, sure, I thought he was telling me the truth, he gave me documents to prove he was who he said he was, showed me pictures, and promised to prove the truth when the time came. So, yes, I thought he was credible. When I asked Walter Haut (seen at the left and Kaufmann seen below) about Kaufmann, Walter told me that anything Kaufmann said was golden. Hell, it was Walter Haut who told me about him. So, the moment I learned the truth, that Kaufmann had created documents, that we had copies of both the originals and the fakes, I told Mark Rodeghier of the J. Allen Hynek Center for UFO Studies that we needed to publish the results. No waiting around for an opportune moment. No dancing arou nd the question, but to publish the results as fast as possible, even if they shed a bad light on me. What that means is that I helped expose the witness that I once believed. What is the problem there? I corrected the inaccuracies just as soon as I learned the truth. Is there anyone in the UFO community who hasn’t believed a witness who later turned out to be lying to them? Have I made other mistakes? Sure. I believed Don Schmitt was my friend and a credible investigator. I didn’t know he was telling people that I had been planted on him and that he suspected me of being a government agent. When some of his lies began to crash down, I defended him. The last straw for me was to learn that he had been telling people not to talk to me. That from my partner in investigation and this doesn’t even begin to cover the damage he has done to the Roswell case and UFO investigation. Stan Friedman will tell you that I’m wrong about MJ-12, though I don’t think so. He’ll tell you that I’m wrong about Gerald Anderson, though it’s clear that Anderson was making it up as he went along otherwise there would be no understanding of his contradictory statements. He’ll tell you there was a crash on the Plains of San Agustin but won’t tell you that the diary kept by Barney Barnett’s wife contradicts this and Anderson. But I have drifted away here. Kal Korff seems to believe that I have maligned him. He thinks that I should now be investigated. Hell, I’ve been waiting for someone to do just that. 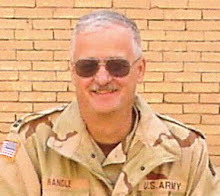 I heard Stan Friedman once ask friends if I have ever served on active duty as an intelligence officer. I told them it was the wrong question. What Stan wanted to know was if I had ever served on extended active duty as an intelligence officer. The answer is yes. If we wanted to look at just one aspect of Kal Korff’s genius, all we have to do is look at his claim to have a 500 book deal arranged. I know of no author, Stephen King, J.K. Rowling (who might hold the world’s record for making the most money off a book) has anything like that. Just how in the hell could you write 500 books. If you wrote one a week, that would take you around ten years and that doesn’t give you much time to eat (or cook American meals for your friends in foreign countries... see www.UFOWatchdog.com), or sleep, or engage in secret activities with your super secret anti-terrorism pals. But, once again, I digress. So, once again, I have managed to offend someone in the UFO community. I have done this before and will probably do it again. The only way to avoid it is to believe everyone and everything. Question nothing, no matter how dumb it sounds and while you’ll be treated fairly well inside ufology, those outside will probably think you’re an idiot. World hero, super-intelligent human, and exposer of fakers, Kal Korff (seen on the left) has brought up my name in conversation on a radio interview. Now I confess that I didn’t hear it and all I have is the report from a friend who mentioned it to me. 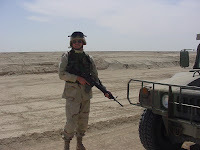 Korff, according to him, said that I was claiming my Iraq service was more important than it was. He suggested that I was called to active duty because the Army didn’t have enough people and I was just filling in. That’s the purpose of the Reserve Component of the miliary (here Reserve Component means both the Army Reserve and the National Guard). We train one weekend a month and two weeks a year to perform in roles to assist the Active Component. For example, the only water purification units in the Army are in the Reserve. Most of the Civil Affairs soldiers are part of the Reserve Component. What this does is provide a trained reserve (hence the name Reserve Component) for the Army at a fraction of the cost of the Active Component. It calls on those soldiers, both officers and enlisted when it has specialized missions, or the Active Component is stretched thin. Sort of the situation that we have today. The Active Force deployed into lots of arenas with the Reserve Component picking up the slack. At one point a couple of years ago the majority of the Iowa National Guard was either in Iraq or Afghanistan. The other comment, that my role in the war wasn’t as important as I claim it to be, confuses me. I’m not sure what I might have said anywhere in Korff’s hearing that would suggest such a thing. I was on the primary staff of a battalion which had its soldiers stretched from Mosul in the north to Kuwait in the south and from the Iranian border in the east to near Al Fallujah in the west. We preformed our mission to the satisfaction of the brigade commander and many of the soldiers were singled out for special commendation. I am the only officer in the battalion to engage the enemy, but the gunfight probably resulted in fewer than 150 rounds expende d on both sides. The LA police shot up more ammunition trying to subdue two bank robbers than we did in that fight. We did, that is the gunner in my Humvee and I, drive the terrorists from the field, which, of course was all that we needed to do. None of the soldiers with us was injured and we continued out of the kill zone just as training had taught us. None of the other vehicles were engaged. Or maybe Korff is referring to the article that appeared in Soldier of Fortune about the Easter firefight just north of our battalion area (The Quick Reaction Force about fifteen feet in front of my position fire on an enemy position). Only one of our soldiers was injured. 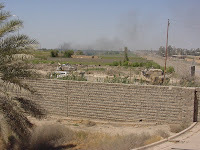 About a half dozen or so of the terrorists were killed and another dozen captured by the Special Forces. A couple of thousand rounds were expended in this fight. But, again, thousands of other soldiers and Marines in Iraq have been more actively engaged with the enemy than anything I experienced in Iraq. I just don’t know what he means by his suggestion my service wasn’t as important as I have made it out to be. This is not the first time that Korff and I have tangled. He believes that Roswell can best be explained by a weather balloon (okay a Project Mogul balloon) and to read his book, you’d think the theory was unique to him. Both Robert Todd and Karl Pflock had the idea earlier and I believe that Pflock gives the credit to Todd for originating the idea. Col. William Coleman floated (yeah, pun intended) the idea as early as 1988 (a tip of the hat to Brad Sparks for the clarification). Those who are interested in more Kal Korff might want to take a look at Paul Kimball’s blog at www.redstarfilms.blogspot.com so they can read about his assault on Kimball. With luck, this will be the last I have to say on the subject of Kal Korff. And yes, I really hold a commission in a real live military organization. I didn’t have to invent one to call myself captain (which, for those of you keeping score at home, no longer applies. I have been promoted).